In recent times, Magizh Thirumeni could be connected with his deadly dubbing work for Anurag Kashyap in Imaikkaa Nodigal. But actually speaking, he is one of Tamil cinema’s underrated writer-directors with respect to the films that he has given us so far. 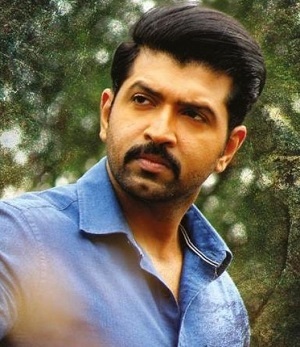 Teaming up with Arun Vijay once again after Thadaiyara Thaakka, the man brings in Thadam, which could go on to join the list of the best thrillers from our industry. On a lovely evening, I got to spend some time with the filmmaker, discussing his mode of work, the road to Thadam and also working with Arun Vijay for the second time. Speaking about the women in his films, we start off with Thadaiyara Thaakka which actually had a good role for Mamta Mohandas to play. But it was Meaghamann’s Hansika which was a largely criticized character, with a section of the critics and audiences calling it a childish piece of writing. I could not help but ask Magizh if he had to force a woman into his script there. And his reply, well, it changed my perspective of the film on the whole. Here it is. Thadam releases this Friday, March 1st worldwide.